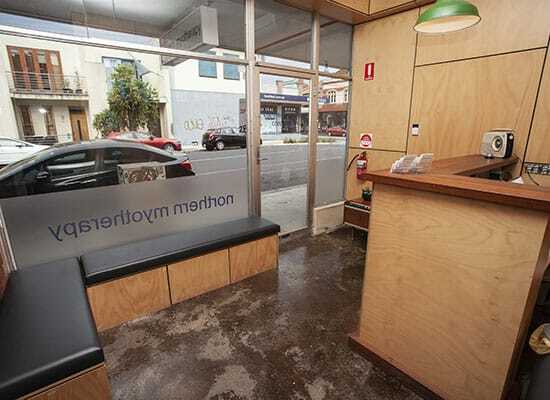 Established in 2008 in Brunswick, Victoria. Northern Myotherapy began in a room in a local gym. The successful results from our treatments have fuelled our growth and we now have two dedicated treatment clinics. Unlike many companies offering injury recovery treatment, we don’t believe in a one-size-fits-all recovery plan. Whether you are an elite athlete or suffering from everyday aches and pains, at Northern Myotherapy we pride ourselves on achieving results for everyone. Our range of therapists and the skills they bring to Northern Myotherapy allow us to offer an unrivaled range of treatments, enabling us to tailor the treatment that’s right for you and your injury. We are well-known for our work with elite athletes, working with a wide range of professional sports people. A number of our therapists are high-level athletes themselves, allowing us to understand the rigors of life as a sports professional and the need to tailor treatment around continued training. At Northern Myotherapy, it’s our goal to restore Pain-Free movement and full physical functionality to your life as quickly as possible.